Cloud, like a white cotton floating in the sky, gives people the impression of "Relaxation" and "Peace". 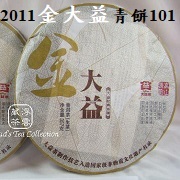 In the art of tea, we often mention about "Cha Dao" which means the rationale of tea. The expression "Cloud", to a certain extent, shares the same principle of Cha Dao - "peace", "respect", "simplicity" and "uncontested". When it comes to the art of tea, one of its crucial parts is definitely a quality tea which lies with a good and experienced commander to produce. 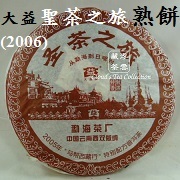 It is true for all kinds of tea, including Puerh. 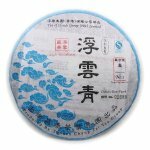 In order to procure the right and quality Puerh for long-term aging in the coming generations, the founder of our company, Mr. Chan K.P. 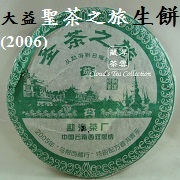 established "Clouds Tea House Limted" in 2008 and opened the retail shop locating in Tsuen Wan District, Hong Kong, in 2013. In 2016, we expanded Cloud's Tea House and it allows several tea fans sitting together to enjoy the right and quality tea. 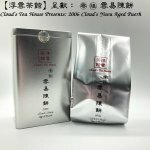 On 18th October 2017, this Cloud's Online Store is started to provided a platform for Hong Kong and Overseas tea fans to purchase tea products anytime anywhere. 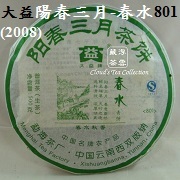 "Cloud's Tea Collection - Internet Articles"
Pre-celebration of 6th Anniversary up to 20% off~! There will be price increase effective from 1st April 2019.